July 25, 2017 – Comets that take more than 200 years to make one revolution around the Sun are notoriously difficult to study. 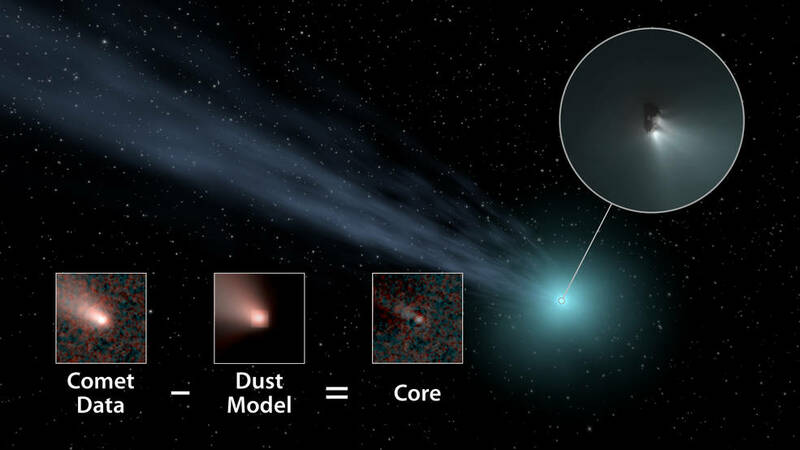 Because they spend most of their time far from our area of the solar system, many “long-period comets” will never approach the Sun in a person’s lifetime. In fact, those that travel inward from the Oort Cloud — a group of icy bodies beginning roughly 186 billion miles (300 billion kilometers) away from the Sun — can have periods of thousands or even millions of years. Ball Aerospace & Technologies Corp. of Boulder, Colorado, built the WISE spacecraft. NASA’s Jet Propulsion Laboratory in Pasadena, California, managed and operated WISE for NASA’s Science Mission Directorate in Washington. The NEOWISE project is funded by the Near Earth Object Observation Program, now part of NASA’s Planetary Defense Coordination Office. The spacecraft was put into hibernation mode in 2011 after twice scanned the entire sky, thereby completing its main objectives. In September 2013, WISE was reactivated, renamed NEOWISE and assigned a new mission to assist NASA’s efforts to identify potentially hazardous near-Earth objects.